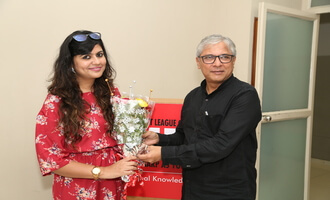 MET Institute of Mass Media witnessed the presence of an Award Winning Programming Director of 93.5 RED FM, Ms. Meetu Sharma who gave the students an insights on Radio as a profession. She conducted a workshop wherein the students were divided into groups. Each group came up with creative ideas for the launch of a Radio station. It was an extremely enlightening brainstorming session.